In the next place, Jonah lost all peace of mind. Sin soon destroys a believer’s comfort. It is the poisonous upas tree, from whose leaves distil deadly drops which destroy the life of joy and peace. Jonah lost everything upon which he might have drawn for comfort in any other case. He could not plead the promise of divine protection, for he was not in God’s ways; he could not say, “Lord, I meet with these difficulties in the discharge of my duty, therefore help me through them.” He was reaping his own deeds; he was filled with his own ways. 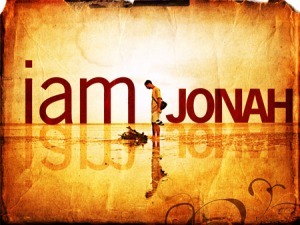 Christian, do not play the Jonah, unless you wish to have all the waves and the billows rolling over your head. You will find in the long run that it is far harder to shun the work and will of God than to at once yield yourself to it. Jonah lost his time, for he had to go to Nineveh after all. It is hard to contend with God; let us yield ourselves at once. A holy character does not avert temptation—Jesus was tempted. When Satan tempts us, his sparks fall upon tinder; but in Christ’s case, it was like striking sparks on water; yet the enemy continued his evil work. Now, if the devil goes on striking when there is no result, how much more will he do it when he knows what inflammable stuff our hearts are made of. Though you become greatly sanctified by the Holy Ghost, expect that the great dog of hell will bark at you still. In the haunts of men we expect to be tempted, but even seclusion will not guard us from the same trial. Jesus Christ was led away from human society into the wilderness, and was tempted of the devil. Solitude has its charms and its benefits, and may be useful in checking the lust of the eye and the pride of life; but the devil will follow us into the most lovely retreats. Do not suppose that it is only the worldly-minded who have dreadful thoughts and blasphemous temptations, for even spiritual-minded persons endure the same; and in the holiest position we may suffer the darkest temptation. The utmost consecration of spirit will not insure you against Satanic temptation. Christ was consecrated through and through. It was his meat and drink to do the will of him that sent him: and yet he was tempted! Your hearts may glow with a seraphic flame of love to Jesus, and yet the devil will try to bring you down to Laodicean lukewarmness. If you will tell me when God permits a Christian to lay aside his armour, I will tell you when Satan has left off temptation. Like the old knights in war time, we must sleep with helmet and breastplate buckled on, for the arch-deceiver will seize our first unguarded hour to make us his prey. This case is an excellent pattern of all cases where spiritual life is vigorous. As soon as a man has found Christ, he begins to find others. I will not believe that you have tasted of the honey of the gospel if you can eat it all yourself. True grace puts an end to all spiritual monopoly. Andrew first found his own brother Simon, and then others. Relationship has a very strong demand upon our first individual efforts. Andrew, you did well to begin with Simon. I doubt whether there are not some Christians giving away tracts at other people’s houses who would do well to give away a tract at their own—whether there are not some engaged in works of usefulness abroad who are neglecting their special sphere of usefulness at home. You may or may not be called to evangelize the people in any particular locality, but certainly you are called to see after your own servants, your own kinsfolk and acquaintance. Let your religion begin at home. Many tradesmen export their best commodities—the Christian should not. He should have all his conversation everywhere of the best savour; but let him have a care to put forth the sweetest fruit of spiritual life and testimony in his own family. When Andrew went to find his brother, he little imagined how eminent Simon would become. Simon Peter was worth ten Andrews so far as we can gather from sacred history, and yet Andrew was instrumental in bringing him to Jesus. You may be very deficient in talent yourself, and yet you may be the means of drawing to Christ one who shall become eminent in grace and service. Ah! dear friend, you little know the possibilities which are in you. You may but speak a word to a child, and in that child there may be slumbering a noble heart which shall stir the Christian church in years to come. Andrew has only two talents, but he finds Peter. Go you and do likewise. Nature teaches that it is the duty of erring children to make a confession to their earthly father, and the grace of God in the heart teaches us that we, as Christians, owe the same duty to our heavenly Father. We daily offend, and ought not to rest without daily pardon. For, supposing that my trespasses against my Father are not at once taken to him to be washed away by the cleansing power of the Lord Jesus, what will be the consequence? 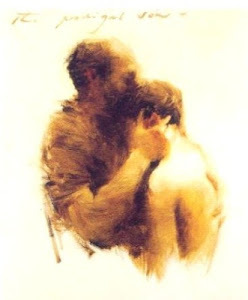 If I have not sought forgiveness and been washed from these offences against my Father, I shall feel at a distance from him; I shall doubt his love to me; I shall tremble at him; I shall be afraid to pray to him: I shall grow like the prodigal, who, although still a child, was yet far off from his father. But if, with a child’s sorrow at offending so gracious and loving a Parent, I go to him and tell him all, and rest not till I realize that I am forgiven, then I shall feel a holy love to my Father, and shall go through my Christian career, not only as saved, but as one enjoying present peace in God through Jesus Christ my Lord. The Lord was there. "—Ezekiel 35:10. EDOM'S princes saw the whole country left desolate, and counted upon its easy conquest; but there was one great difficulty in their way—quite unknown to them—"The Lord was there"; and in His presence lay the special security of the chosen land. Whatever may be the machinations and devices of the enemies of God's people, there is still the same effectual barrier to thwart their design. The saints are God's heritage, and He is in the midst of them, and will protect His own. What comfort this assurance yields us in our troubles and spiritual conflicts! We are constantly opposed, and yet perpetually preserved! 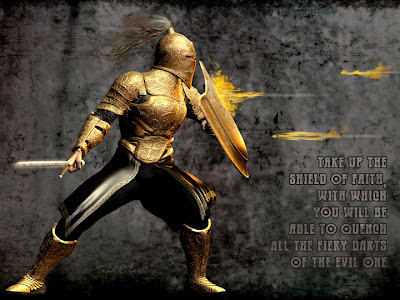 How often Satan shoots his arrows against our faith, but our faith defies the power of hell's fiery darts; they are not only turned aside, but they are quenched upon its shield, for "the Lord is there." Our good works are the subjects of Satan's attacks. A saint never yet had a virtue or a grace which was not the target for hellish bullets: whether it was hope bright and sparkling, or love warm and fervent, or patience all-enduring, or zeal flaming like coals of fire, the old enemy of everything that is good has tried to destroy it. The only reason why anything virtuous or lovely survives in us is this, "the Lord is there." I have learned, in whatever state I am, therewith to be content. "—Philippians 4:11. THESE words show us that contentment is not a natural propensity of man. "Ill weeds grow apace." Covetousness, discontent, and murmuring are as natural to man as thorns are to the soil. We need not sow thistles and brambles; they come up naturally enough, because they are indigenous to earth: and so, we need not teach men to complain; they complain fast enough without any education. But the precious things of the earth must be cultivated. If we would have wheat, we must plough and sow; if we want flowers, there must be the garden, and all the gardener's care. 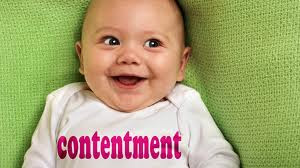 Now, contentment is one of the flowers of heaven, and if we would have it, it must be cultivated; it will not grow in us by nature; it is the new nature alone that can produce it, and even then we must be specially careful and watchful that we maintain and cultivate the grace which God has sown in us. Paul says, "I have learned . . . to be content;" as much as to say, he did not know how at one time. It cost him some pains to attain to the mystery of that great truth. No doubt he sometimes thought he had learned, and then broke down. And when at last he had attained unto it, and could say, "I have learned in whatsoever state I am, therewith to be content," he was an old, grey-headed man, upon the borders of the grave—a poor prisoner shut up in Nero's dungeon at Rome. To Him be glory both now and forever. "—2 Peter 3:18. Eternity! Your unnumbered years shall speed their everlasting course, but forever and for ever, "to Him be glory." Is He not a "Priest for ever after the order of Melchisedek"? "To Him be glory." Is He not king for ever?—King of kings and Lord of lords, the everlasting Father? "To Him be glory for ever." Never shall His praises cease. That which was bought with blood deserves to last while immortality endures. The glory of the cross must never be eclipsed; the lustre of the grave and of the resurrection must never be dimmed. O Jesus! you shall be praised for ever. Long as immortal spirits live—long as the Father's throne endures—for ever, for ever, unto You shall be glory. Thou hast put me in this world for something, Lord, show me what that is, and help me to work out my life-purpose: I cannot do much, but as the widow put in her two mites, which were all her living, so, Lord, I cast my time and eternity too into Your treasury; I am all Yours; take me, and enable me to glorify You now, in all that I say, in all that I do, and with all that I have." 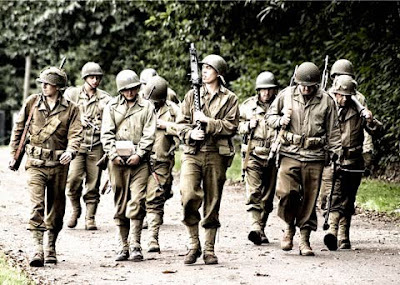 I've been greatly impressed with the special DVD set 'The Band of Brothers' which I bought recently -not just as regards the quality of the product which was excellent but in the relationships and courage portrayed by these young soldiers from the United States Army who fought in the World War 2. Many were only in their late teens or early twenties at the time yet they grew up quickly as they faced death and injury on a daily basis.The series portrays the war time efforts of 'Easy Company' as they sought to, and suceeded in liberating the occupied land in Europe. Picture also Christ the King encouraging his foot soldiers like Paul and his other early disciples who were also facing daily pressures, trials and troubles as they sought at that time to liberate Europe from spiritual captivity. Paul himself declared to the Corinithins the pressure that he and his fellow workers were under when on mission for their King..
13 And since we have the same spirit of faith, according to what is written, “I believed and therefore I spoke,”we also believe and therefore speak, 14 knowing that He who raised up the Lord Jesus will also raise us up with Jesus, and will present us with you. 15 For all things are for your sakes, that grace, having spread through the many, may cause thanksgiving to abound to the glory of God.